Here are 6 articles providing an overview of the deal. Before moving on to the articles, there are a few things that should be kept in mind. First, the deal will likely get by congress in the US and the Majlis in Iran. However, over time both sides will accuse the other of cheating and bad-faith, and both sides will try to twist and interpret the deal to their maximum advantage. This will put a lot of pressure on the deal and it could break down later on. Second, the deal is long and complex (120 pages). Even if we think the deal looks good now, it is impossible to tell how the details will play out in practice, especially with both sides jockeying for position and given the turbulence of the region. Third, as with any deal like this, there is an element of risk involved for both sides. If it breaks down both sides will be in a vulnerable position. The only way to judge if the risk is worth taking is to ask ourselves what the alternative would be. The answer to that question is: not very pretty. Fourth, this deal does not deal with the other issues that divide the US and Iran. All it does is buy a 10-15 year window of opportunity to deal with them. If no steps are taken to improve relations in that time, we will be right back where we started when it is over. The articles below speak to these points and others. 1. “Who got What They Wanted in the Iran Nuclear Deal” (NY Times) explains what each side was asking for and what the eventual compromises were. 3. A very detailed pro-deal editorial from foreign policy, “It’s a Damn Good Deal”. 4. A critique of the deal also from Foreign Policy “How to Get the Most Out of an Iran Nuke Deal” . 5. “If you Really Want to Bomb Iran, Take the Deal (Washington Post) which explains how the deal puts Iran in a vulnerable position as well. 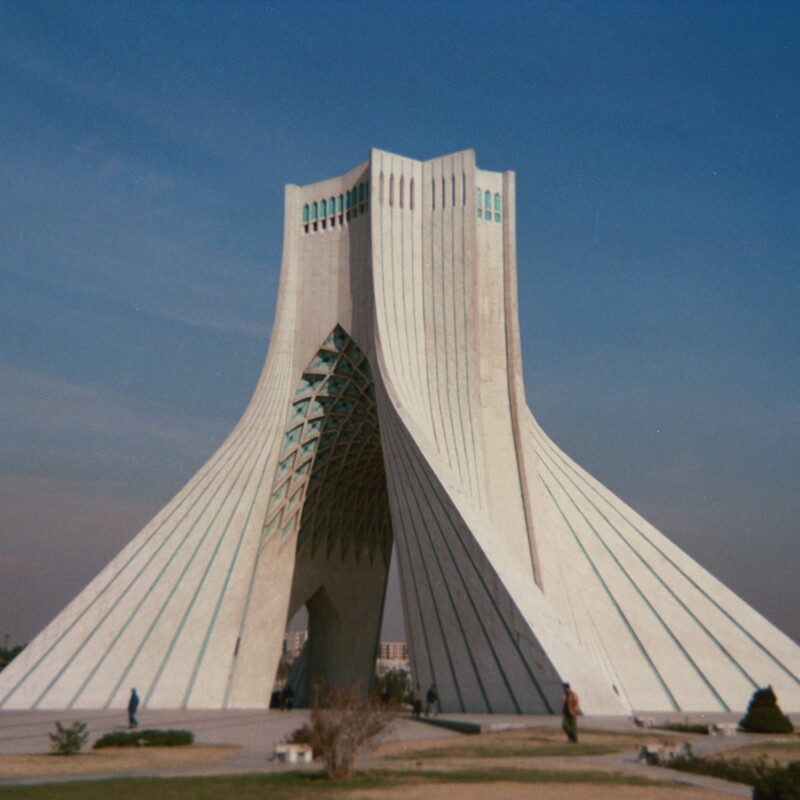 I am not sure this adds anything really different to the discussion, but the background/impressionistic take on Iran and the deal is worth the read. If anything, the illustration is worth it alone. 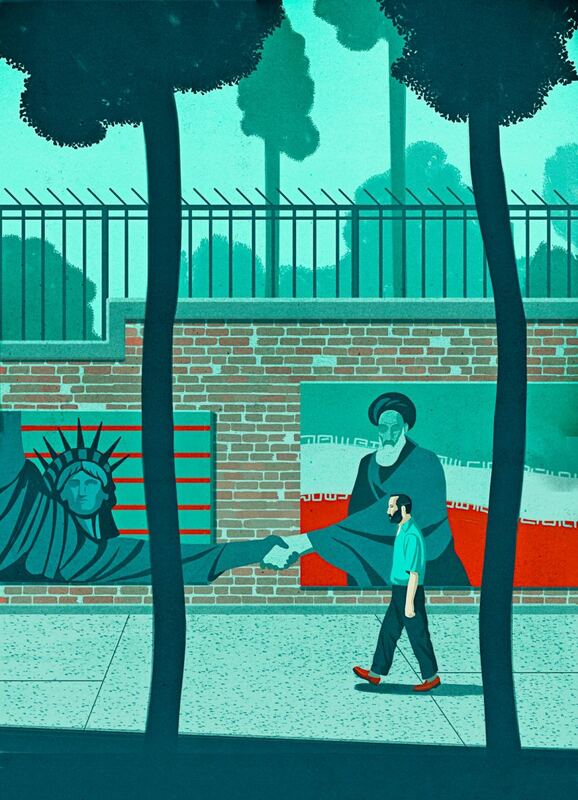 For those who have seen the wall outside the old US embassy in Tehran, its a very striking image. The last 2 pictures I took in 2001. The Skull Statue of Liberty on the first is one of the most striking murals on the old embassy wall. The New Yorker illustration depicts the change that seems to be taking place. The skull has been replaced by a face and they are now shaking hands. The quote on the last picture is from Khomeini. In 2010 that mural was no longer on the wall (some of them have been changed over time), but it should give you an idea of the ideological barriers to making a deal with the US.